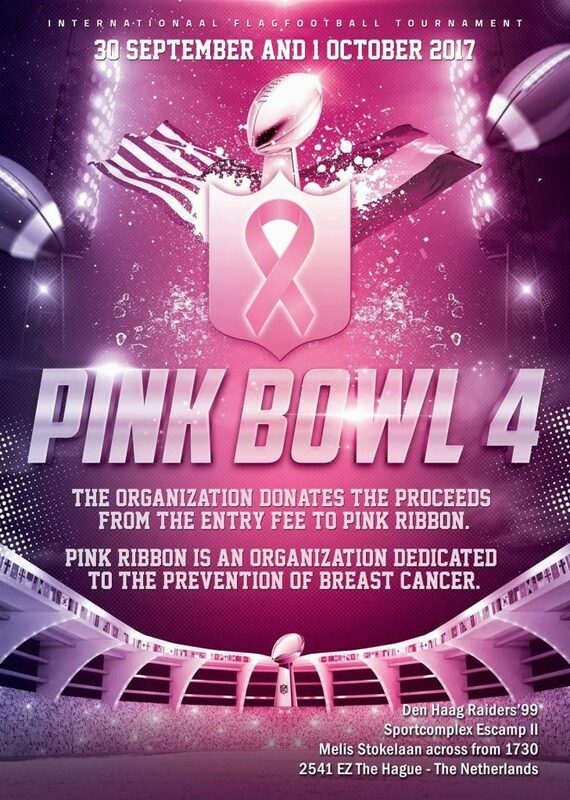 With the 4th edition of the hugely popular Pink Bowl, we look forward to another competitive tournament! We look ahead to some of the best looking groups and teams, and predict who we think will advance ahead of the action! The Hague Hyenas are our pick to top this group. 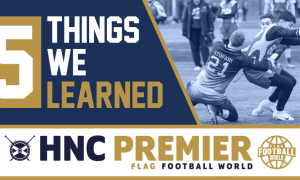 Coming off an impressive undefeated season, albeit in a slightly weaker league, they still posses a talented group of players who mostly represent the Dutch Lions. Coming hot off the back of the European Championships, they will still be operating at international level when playing in this group. One of the key players to look out for will be Riezwaan Bholai who plays on both sides of the ball. He’s a talented WR, but he also won Defensive player of the Year with 33 interceptions and 14 pick 6s. 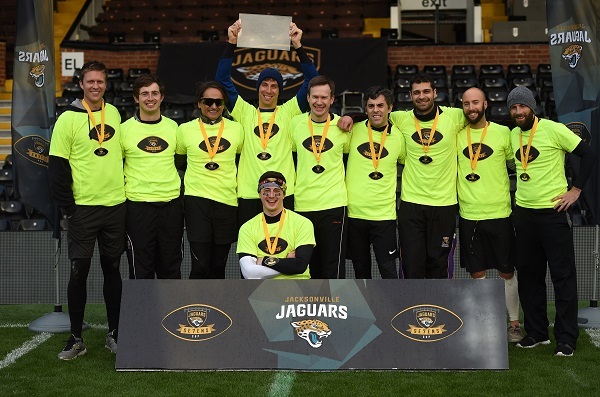 Their anticipated challengers will come from the unpredictable but talented Coventry Cougars. They have speed that will trouble most teams and through impressive blitzer Luke Madden (10 sacks – BAFA 2017) and wide reciever Kieran Eaton (35 TD’s – BAFA 2017). They’ve got all the ability to cause an upset, but they need to remain consistent throughout the tournament if they want to advance. Not a lot is known about Charleroi but they managed impressive results in this competition and could be the underdogs to at least challenege for 2nd but for now we do not see passed a Hyenas and Cougars 1-2. This is a loaded group, and there’s plenty of teams who could advance. Novo Mesto Knights are the first team to look out for. 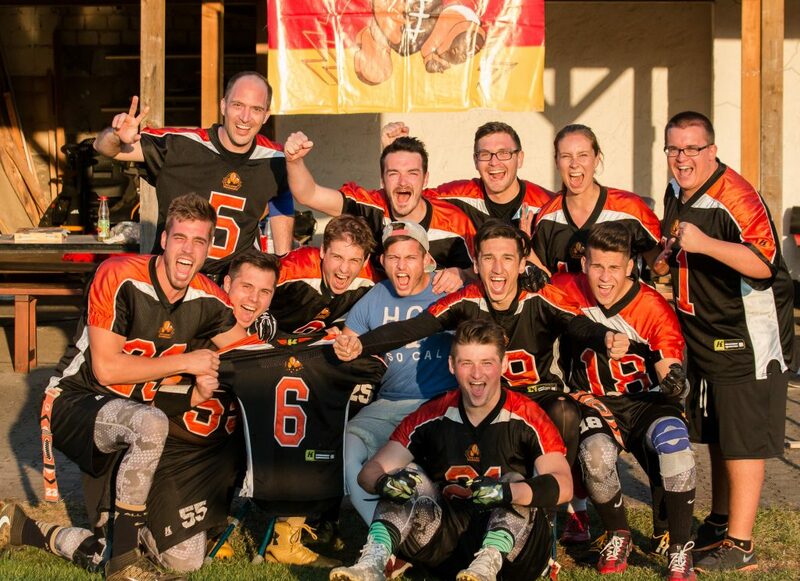 With top 10 finishes at Big Bowl, the Knights claimed a victory over the Baker Street Buttonhookers at this year’s tournament in Frankfurt. The Bulldogs St Cergus, are a very intriguing prospect, having won the French league this year and beating 2016 Champions Bowl winners Sphinx De Pau en route to an upset victory. They could be the surprise package here. They did well at Champions Bowl last year, so they’re battle-tested. One team who could throw a spanner in the works are Bobby Black’s Mayhem squad. Given its his last hurrah with the team, we anticipate they’ll throw caution to the wind and go all out to end on a high. Expect plenty of speed from Bobby’s awesome stable of receivers, who can give even the best defences nightmares. So how do we see it finishing? Honestly? We have no idea. The Mayhem are proven at this level, so that could get them the leg up over the Bulldogs. Similarly, the Knights have experience in this tournament format. We didn’t see the Bulldogs at Big Bowl this year, so they might have some rust when it comes to the way the clock runs at these events. We can honestly see two of the sides mentioned advancing. The Spaniards could also make some noise. While they have the moniker of an International team, they are missing some key players at vital positions such as QB. Currently we do not have them progressing, but much like the Bulldogs, they could also challenge. Meanwhile, we can’t see the Tilburg Wolves getting through, and should perhaps look to this group as a learning experience, and begin cursing the random draw which led to them being in such a deep group! This group is easier to predict with Walldorf surely strolling this. After coming 4th at Champions Bowl, they come into this tournament with unquestioned experience at this level. They have one of the best QBs in attendance in Bejamin Klever, as well as star receiver Fabian Achenbach. Their main challengers should come from the London Barbarians, who are complimented by a field of GB Silver Lions. Although they placed 4th at Big Bowl, the team will be completely different but still made up of a strong and experienced unit. The recent call up of QB Nick Schippers from the Reading Lions will be interesting after he impressed at the recent GB camp. The Stormers will also look to challenge, but may not have the strength to match up against the Wanderers or the Lions. While Group B is considered the Group of Death, this one isn’t far behind. 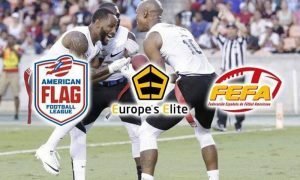 There are some really interesting teams here but the one that catches our eye is the London Ex Pads. Behind the leadership and arm of Tariq Dag Khan, this team is always challenging. Perennial top 5 finishers at Big Bowl & 2016 Jags 7 winners, this talented crew are ultimately favourites for this group. While relative novices to the international scene, one squad which could do some damage is the Carluke Cobras. 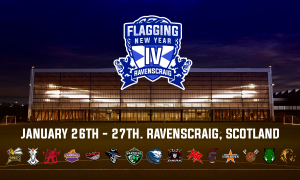 Under centre will be GB Coach Alan Young, who has recruited a host of talented receivers, including 6’8 Gary Elliott (FFW HNC MVP, Defensive Player of the Year and Offensive Player of the Year) of the Aberdeen Oilcats and Great Britain. With a wealth of other GB players mixed in, we should see a close finish for 1st and 2nd. The race for 3rd we feel will be a 2 way split between Dallas Carter and the Moscow Tough Nuts. Both are very impressive, and we are intrigued by what Dallas Carter will bring coming from the 7s league in London. 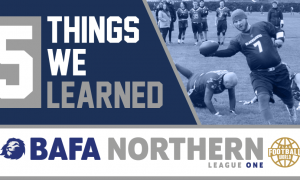 They’ll be entering the BAFA leagues in 2018, so we’re looking forward to seeing how they fare in 5 vs 5 action. We feel pretty good about the Buttonhookers for this group, given their status as one of the elite teams in the European tournament circuit. 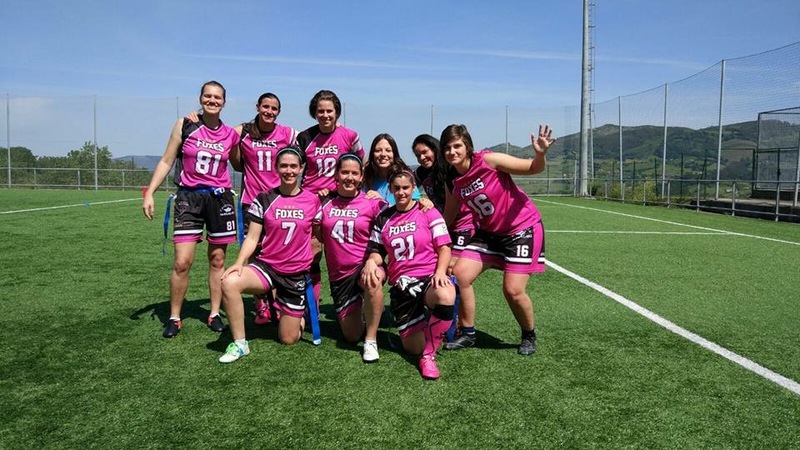 They won the BAFA leagues with relative ease this season, and figure to continue their tremendous form into Pink Bowl. As Vince Machi goes, so do the ‘Hookers. 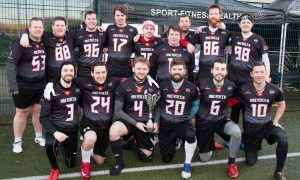 A disastrous 5 interception performance at Big Bowl against the Novo Mesto Knights from Vince meant the Buttonhookers had to settle for a lower placement that they’d have been aiming for. 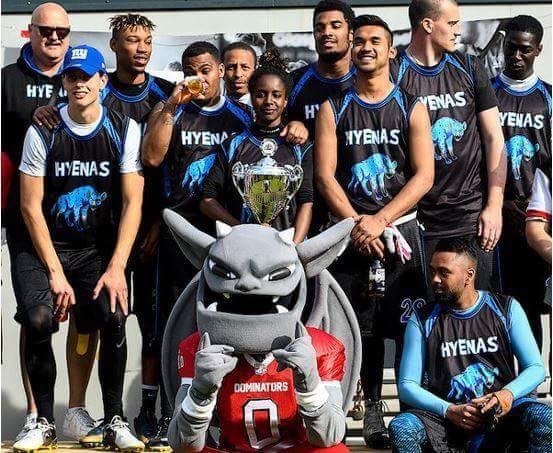 The Hyenas could also be a team with some considerable strength dependent on who the Dutch champions employ in this “B” side. This is a hard group to call, as there are plenty of unknowns, and there’s a lack of a clear heavyweight. The intel we have on Barcelona suggests they could end up the outright winners of this group. 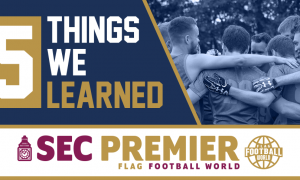 They’re young and fast, and also boast interesting personnel, including Teo Polanco, who is an American ex-NFL Europe player and will be lining up under centre. The Spanish Bowl runners up may also be one to watch if they progress from the group. We have Iron Nuts as runners up in the group. With a host of good athletes on offense, they should have enough about them to hurt most teams. Defensively, they could be suspect. The Carnegie Renegades will look to apply some solid fundamental football and make a statement in their first international tournament. Again, there’s plenty of unknowns in this group, but there’s one name that sticks out is that of Team Mexico. 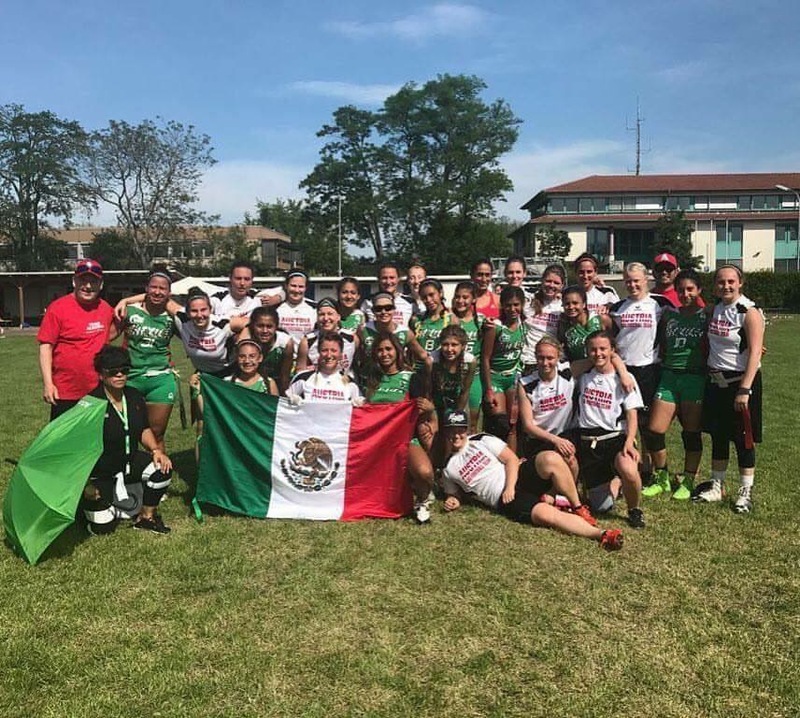 Falling just short at Big Bowl (once again), the Mexican ensemble will be feeling good about their chances of winning the whole tournament. That’ll all depend on the players they bring though. The remaining squads, from our limited knowledge, should duke it out for second place in the group. By far the tougher group out of the 2 ladies tables this one will be a real test and possibly a 3 team battle for 1st. 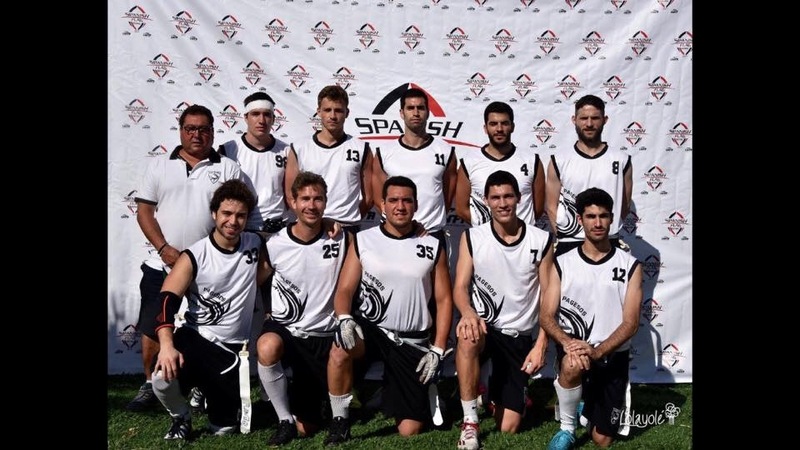 The Spanish Foxes 82 are very impressive, with a wealth of international players in their midst and coming off a 3rd place finish at the European championships. 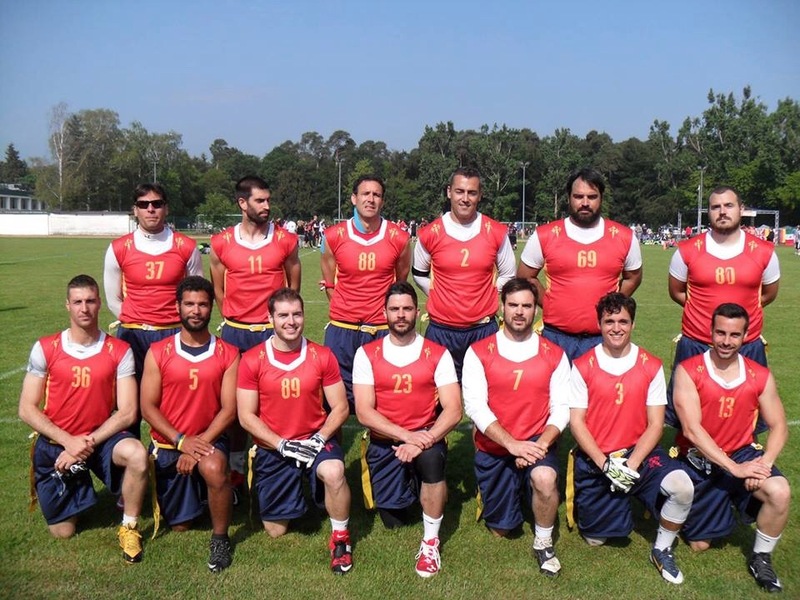 They are unbeaten in the Spanish league and a 5th place finish at Big Bowl behind 2 international teams and a US team can be considered a major success. The Foxes 82 will, in all likelihood, be battling it out with the Coventry Cougars Women for 1st place who are hugely talented and experienced for such a young squad. The Cougars boast 4 GB players, along with the awesome Grace Conway. Their resident Lions also took home the Bronze at their own Euros after an impressive win over Israel. They have so far edged out the athletic Sirens when they’ve matched up. The Sirens figure to have more chemistry and cohesion going into Pink Bowl than they did at Big Bowl, so they will fancy their chances of winning the group. In our eyes we think a 1,2,3 of Foxes, Cougars, Sirens. Disclaimer: These are our humble predictions, if we are far of the mark we will refund you your full years subscription!